Manchester City have confirmed Columbus Crew goalkeeper Zack Steffen will join them next July on a four-year deal. Terms of the deal were not disclosed but Columbus revealed the fee - reportedly £7million - is the largest in their history and a new record for an MLS goalkeeper. The United States international, who has won six caps, will continue to play in his homeland before becoming a City player on July 9 next year, which is when the MLS transfer window opens. "Any success that I have had as a goalkeeper in MLS with Crew is a testament to those around me who have pushed me - team-mates, coaches, staff, family, friends and supporters," Steffen said. "I am eager to continue to put in the work to improve and be the best team-mate I can." Steffen started his career in Germany with Freiburg before moving to Columbus in 2016. In confirming the deal on their website, City described the 23-year-old as "one of the outstanding talents in America" as they prepare to welcome him to the Etihad Stadium. 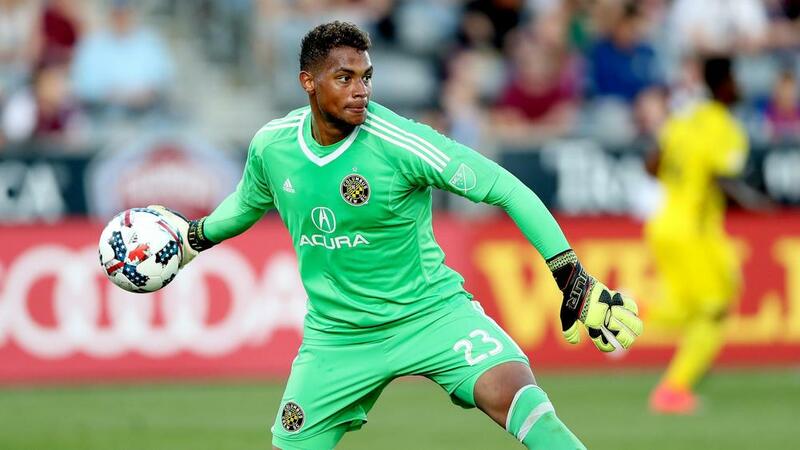 "This is a historic transaction for the club and a special moment for Zack Steffen that we are immensely proud of," said Crew's interim general manager Pat Onstad in a statement. "Today's announcement is the culmination of two and a half years of development and success for Zack. As someone who worked closely with Zack throughout, on behalf of the club, I would like to say that we couldn't be happier for him. "Manchester City is one of the top clubs in the world and we are pleased to finalise this agreement that benefits the player and both clubs." Ederson is the first-choice keeper for the Premier League champions, who have been without Claudio Bravo since August after he suffered a ruptured Achilles in training.